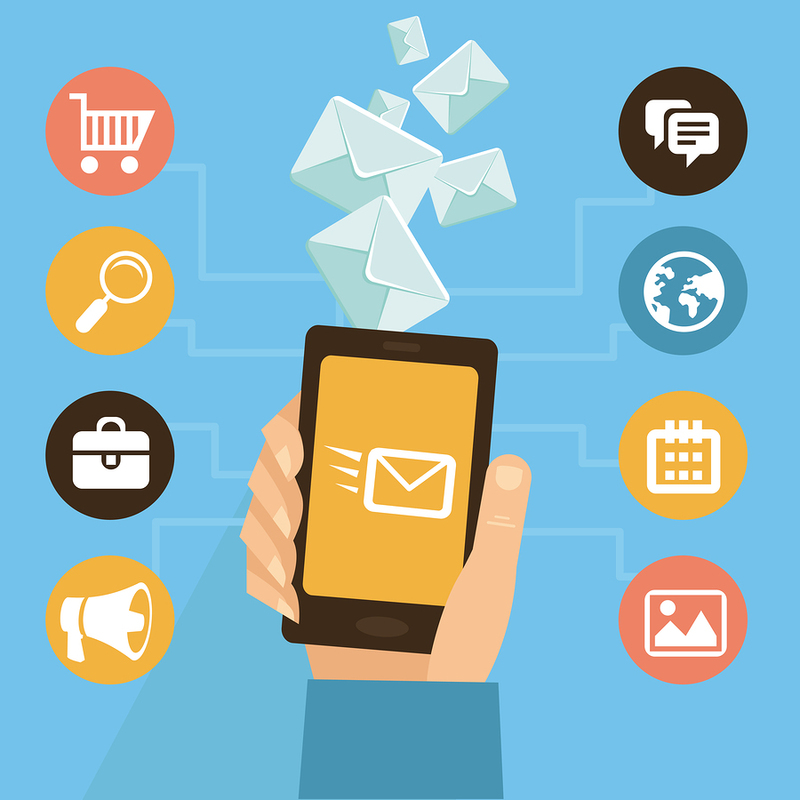 When you’re preparing marketing campaigns for your company, email marketing is probably one of the most valuable resources that you have to reach current and future customers. Because email marketing is such a valuable part of any marketing project, you want to make sure that you’re able to host your mailing lists on a site that helps you protect them, organize them, and makes it easy to manage and maintain them on a daily basis. With all of that being said, it’s also important to stress that not all mailing list solutions are the same. Some will allow you to send out mailings, while others will provide advanced tracking and management solutions. When it comes to pricing, most solutions will charge based on the size of your list, but others might charge a baseline monthly fee as well. In order to choose an email list hosting solution that works for you and your company, you need to focus on a few key things that will make sure your lists are in good hands. Here are some questions to ask when searching out the best email marketing platform for your brand. Does the host site offer A/B testing? A/B testing is great for businesses who want to figure out what works best for different audiences, or which campaigns are most effective. A/B testing is the process of creating two different email marketing campaigns, and distributing them both to half of your mailing list group. This way, you can determine which campaign works better based on how your users respond to the call to action in your email, or even which one gets opened more. It’s basically guinea pig testing your users in order to determine how best to market to them – and it’s an essential feature for an email list hosting solution. A/B testing is a way to understand success, try new things with your marketing campaigns, and make sure that your customers are receiving high-quality campaigns that they actually want to see. It’s a great tool for everyone from start-up businesses to well-established ones because no matter how big your company is, you’re always looking for ways to improve. Are there restrictions on the number of contacts, or the number of emails I can send? Most hosting sites feature different packages that you’ll purchase when you sign up that have restrictions on how many contacts you can upload to the hosting site, and how many emails you can send in a certain period – a month, a quarter, a year. If you’re a big organization who sends multiple email campaigns a week, you’ll want a hosting site that can handle the huge flow of information that you’re giving it, and you’ll probably want to sign up for an unlimited plan if there is one available. Don’t underestimate your business when you’re signing up for a site, especially if it’s your first time experimenting with email marketing – you don’t want to sell yourself short and end up running out of emails or contact space before your contract is up. Plan for sending more emails than you think you will so that you’re prepared should the best start to happen with your campaigns. And, make sure that there’s no limit on how many contacts you can upload at one time. You’ll want the option of being able to upload a large amount at a time, whenever you want. What type of analytics will I be able to see? When choosing your host, you should choose the one with the most in-depth analytics available. Your analytics determine how you prepare your future campaigns, content, and even how you speak to your audiences in the future. You want to choose a host site that offers you analytics for deliverables, opens, clicks, unique clicks, unsubscribes, contact losses, conversions, revenue per email, forwards, social shares, and much more. The analytics don’t only help you plan for future campaigns and determine the success of the content you’re distributing, they also can help you understand the quality of the mailing list that you’re using. If you’re seeing a lot of hard and soft bounces on your list, you might need to find a solution to clean up your contact list. Sometimes, depending on your host site, you might be able to engage their support teams to understand how your lists are working and where you might need to do some backend work in order to figure out which contacts are older and need to be bumped off, and which are quality contacts who need to remain on your list. Sometimes, support teams can help advise you on how to organize and clean your lists so that your campaigns are the best they can be. Can I customize my campaigns? With any good mailing host site, you should be able to do as much customization as you want for all of your email campaigns. If you’re just starting out and don’t have as strong a brand, most sites provide a variety of customizable templates that you can work from that provide options for you to choose from – seasonal, newsletter, announcement, and celebratory campaigns that you can customize by color, text, button options, and add your own images into. You will also want to make sure there is an option for setting up autoresponders as well. If you already have an established brand and you have strict branding guidelines that you need to abide by, choose a mailing list host solution who can work from your brand standards and utilize a campaign that you design yourself. If you have to have your campaigns look and act a certain way, you’ll need to choose your hosting solution by whether or not they can accommodate and create the template just for you. What types of sources can I upload my list from? Depending on your host site solution, many sites can accommodate different file types and ways to upload your already established contacts into the site. You’ll also want to choose a site that makes it easy for you to consistently update the mailing list contacts – can it handle subscribes through the email campaigns? Can it handle monthly, weekly or daily uploads of hundreds of new contacts? Does it efficiently filter and organize contacts who are unsubscribed, bounced or no longer valid to your list? A good solution will be able to help you upload your list in whatever format that you have, or else help you convert it to a format that works for the platform. As one of the leaders in email marketing and lead generation, the AfterOffers platform is actually capable of sending 100% opt-in emails directly to your mailing list. We especially like working with Aweber, due to their easy integration. However, we are currently working with other platforms and email providers as well. To get started with your own email lead generation campaign and growing your mailing list to that next level, contact us today.